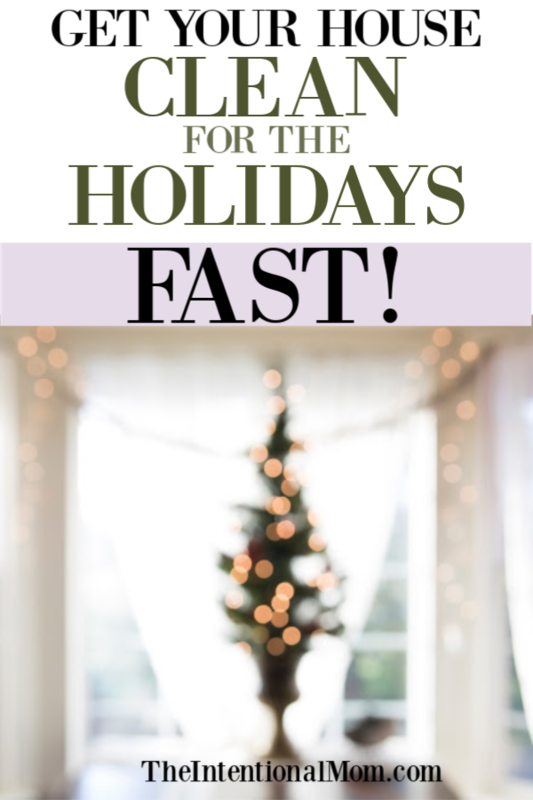 With the holidays right around the corner, now is the time to get your home cleaned whether you’re entertaining guests or just dealing with the normal holiday bustle that so many of us face. There are numerous places to go, extra things to do, and additional demands placed on our time. At the same time, there is nothing like a clean home as the backdrop for all the holiday pictures and family fun. I find that not all cleaning is created equal, however, since there are certain things to clean that give us that clean home feel without a huge time investment. Having a holiday cleaning checklist of the most essential things to clean in your home for the holidays is key. 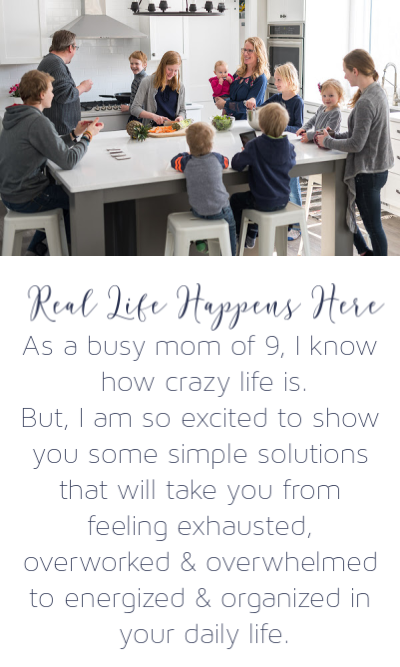 As a mom of nine, I know just how important time is – and how hard it is to find time to get your home ready for the holidays. 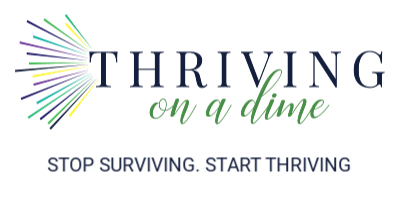 Getting ahead of the game now will allow you more time to just enjoy spending time with your family and friends this holiday season. First, let’s talk about the cleaning supplies you’ll need to get these cleaning jobs done! Now, let’s get that holiday cleaning checklist underway! Furniture can take a beating. I love my white couches (no worries, they are slipcovered couches) but man, I am amazed at how quickly they collect dirt. In our home we do what we can to keep the place clean proactively by not wearing our shoes in the house, keeping food in the kitchen, washing hands after meals and playing outside, and more. But our white couches just get dirty so fast. I actually like having white couches since then I can easily see when they need to be washed. But, if you don’t also have white furniture, you’ll just have to take my word for it on how quickly upholstered furniture becomes dirty no matter how careful you are. For this reason, cleaning your upholstered furniture makes the list of things to clean to get your home ready for the holidays. I find the best way to clean upholstered furniture is with a vacuum and crevice tool attachment to get in all the cracks for the crumbs and dirt. How you deal with any stains will vary based on what your furniture is made of. I have upholstered furniture that allows me to just use my steam cleaner to clean it so this is the method that I prefer. Be sure to follow the manufacturer instructions for your pieces to clean, but you will be so glad you did! Bathroom grout made the list because it is something that can quickly get out of hand if it is not regularly maintained. Mold loves moist places, and this makes mold and mildew love bathrooms. Since the grout is porous, this makes it a breeding ground for mold and mildew in a hurry. You might have grout in several places in your bathrooms, but spending the time to get them all clean and free of mold will be so worth it. I find the easiest way to clean bathroom grout is to start by using my favorite amazing tool, my Scrigit Scraper. 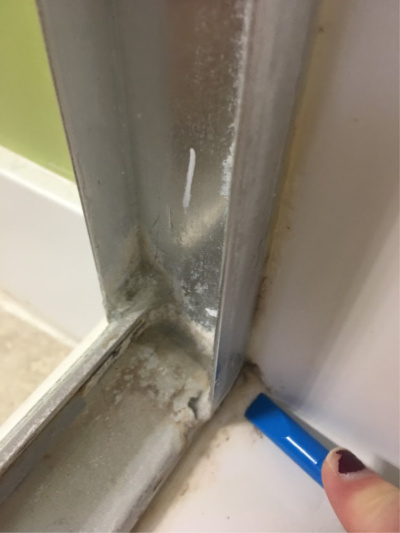 I use this tool to scrape off any buildup or mold that can easily be removed. This makes for less work on the following steps. Pro tip: The Scrigit Scraper is the best tool you can have in your entire house for all kinds of tasks, including cleaning. I think I use this tool every day at least, and if I’m not using one my kids are. 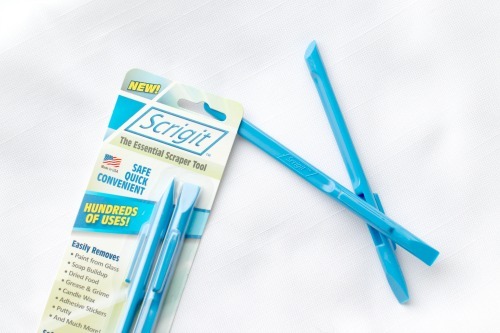 Anytime I have something stuck onto a hard surface, the Scrigit Scraper takes care of the job including food that wasn’t wiped off the kitchen counter and then hardened, sticker residue left on a new product, getting gunk out of the corners of just about anywhere, and more. After getting the gunk off the grout with my Scrigit Scraper, I make a paste out of baking soda and white vinegar. Then, use an old toothbrush to spread it on and then scrub. Then, I generally leave it sit for about 10 minutes and then wipe it off with a rag. Nothing makes me feel nicer than taking a shower in a nice clean shower. While mine generally gets a basic wipe down every few days, what I am referring to now is doing a deep clean on the shower. You can check out my full tutorial on how to deep clean your shower HERE, and you can also read how to clean your shower head HERE. Both of these cleaning hacks will save you time and money. 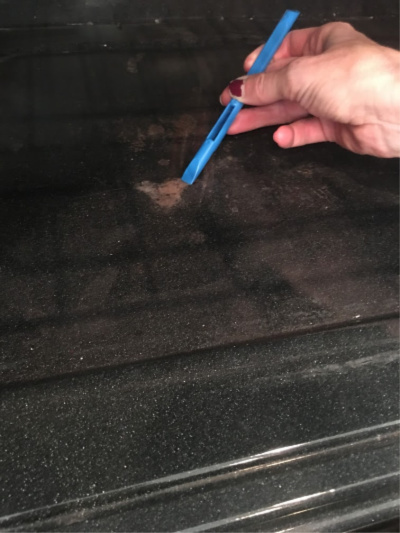 Just like with most things I do, I have found the quickest, easiest, and fastest ways to clean these things so you will want to check out those posts. They are gold! Along with the holidays usually comes more food. 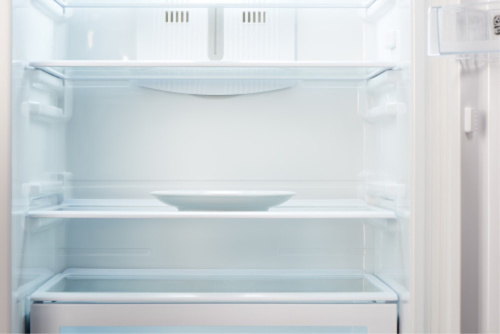 This is why now is an important time to give your refrigerator a good clean. First, get rid of any old food, clean out and wipe out all the shelves and drawers. Then, clean up any spills or dried on foods or gunk. If you’re wondering whether I found a shortcut for cleaning the fridge, rest assured, I did. You’ll need some soap, a rag, some towels, and your Scrigit Scraper to get in all the grooves. I am baking and cooking so much more during the holidays. I’ve got dishes to pass, treats to make and take places, and holiday memories that include some of our favorite dishes and treats, too. We love baking Christmas cookies, for instance. For this reason, cleaning inside the oven is important before all the cooking frenzy begins. To clean your oven, start by taking off anything that is spilled on and can be easily scraped off. This is easily done using your Scrigit Scraper mentioned above. Gently scrape off anything that is dried on using this handy tool. Then, sprinkle on some baking soda. Finally, spray on some vinegar and let the solution go to work, bubbling off much of the baked on mess. Then, use a scrubbing pad to gently scrub off what’s left and then a rag to wipe it all down. The pantry can sometimes become a dark abyss filled with who knows what. Before all the holiday foods start coming in it’s super important to go through everything you have in your pantry now and give it a good clean out. If you’ve got shelves, wipe them all down. As a side note, I love organizing my pantry using bins, baskets, and containers that allow me to keep better track of everything. 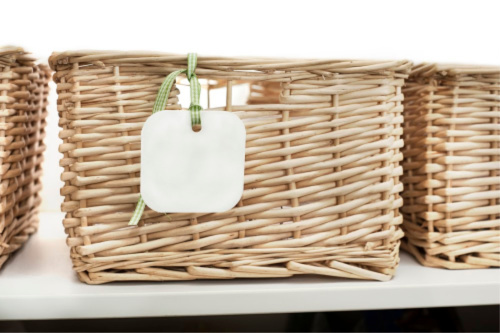 So wiping out all the baskets, bins, and containers is also an important piece of cleaning your pantry if you have those as well. All you’ll need to clean your pantry is some simple soap and water and your rags to wipe down any shelving and organizing things. I will be honest, I am not a fan of doing this. But, the added bonus is that you can get some exercise at the same time. That’s a good thing, right? With the holidays coming, you want to not only have a home that is clean for any guests, but also a home that you feel good about for you. 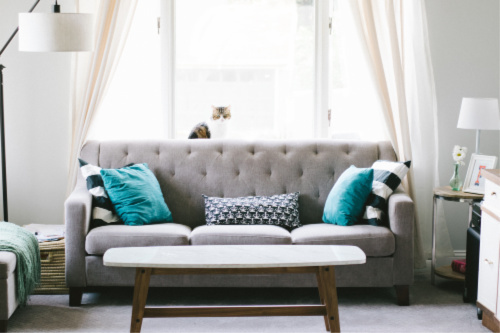 Knowing that it is clean underneath all your furniture gives you a tremendous sense of accomplishment and gives your home an overall clean feeling. If available, working with someone on this step really helps. That way, one person can move the furniture and one person can run the vacuum. Wash your seasonal dishes and cookware so they are ready! If you’re like me, you’ve probably got some dishes that you only use a few times a year for special occasions. Since the holidays are filled with plenty of special occasions, these dishes get used a lot during this time. I’m primarily talking about serving platters, specialty dishes like chip and dip bowls, larger casserole dishes, and even my roasting pan in this step. Since these things aren’t used all that often, they collect an enormous amount of dust even while in a drawer or cupboard. This is why I like taking the time now, before I actually need them, to give them all a nice wash so they are ready to go. It saves me time when I’m in the midst of all the cooking and baking. I think if you’ve got kids and you’ve got carpet, you’ve most likely got carpet stains. This only becomes more prevalent if you add pets into the mix. 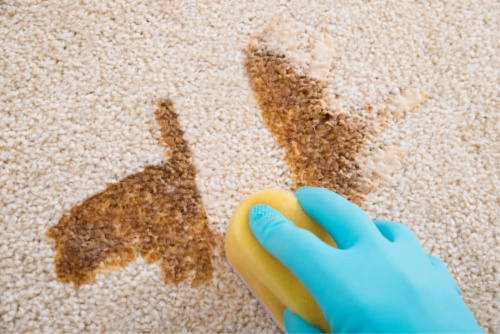 A clean home for the holidays will include cleaning your carpet stains. I find the best thing to do for carpet stains is to just use some regular dish soap and some water. Put just a few drops of dish soap in a glass of water and sprinkle some on each carpet stain. Then, I just use my fingers to scrub the carpet as I find any kind of brush just makes the carpet too fuzzy. If needed, a sponge is a better choice. If you’ve got a steam cleaner, this can also help. I work with the stain itself first as stated above, then I use my steam cleaner to rinse and pull everything that is left out of the carpet. Windows are so important to clean because clean windows make your whole house feel clean everywhere even if it’s only your windows that are actually clean in reality. With younger kids, there are always handprints and fingerprints – even face prints on my windows nearly all the time. This is why clean windows just have a way of making the whole house feel clean if they are clean. 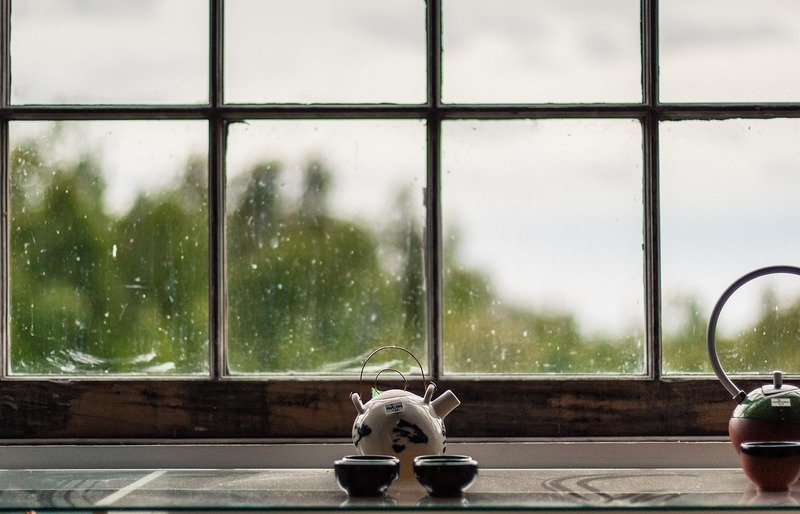 For me, I clean all parts of my windows including the glass, the window frames, the window tracks, and the blinds as I get my home ready for the holidays. I find my window glass get cleanest by using an old sheet cut into a small piece for a window cleaning rag. Then it’s just a matter of using your favorite window cleaner. I wipe down the window frame just with a rag and soapy water, and I use a cool trick to clean the blinds that you can read about right HERE. You’ll just need a sock and some soapy water. I also clean in all the corners of the sills and the window tracks as well. I have the best tip ever about how to clean your window tracks HERE. You’ll just need your Scrigit Scraper, baking soda, and vinegar as well as a few other simple things. Having a clean house for the holidays is the best gift you can give yourself. This holiday cleaning checklist will make sure you have a home that is holiday ready whether for company or just for yourself!